I’ve been meaning to write about this album for weeks, but honestly, every time I went to do it, I’d get caught up on their songs and forget. But I’m ready now. I am a heavy, heavy user of Soundcloud. It is honestly the only thing that gets me through the work day. I follow several artists, DJs and producers. It allows me to access and discover house music tracks easily, since they aren’t often, or really ever, played on mainstream radio (at least the kind of house music I like, REAL house music!). I was very happy to stumble upon my new favourite house duo, Disclosure. 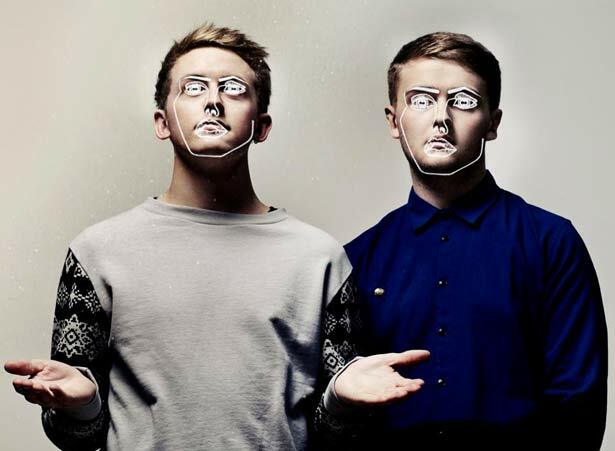 Disclosure is composed of two brothers, Guy and Howard Lawrence hailing from the UK. These boys are basically babies (I consider 19 and 22 year olds babies), but their music is beyond their years. What I like about this album is that the songs really span the range of the electronic music spectrum, from electro, 2-step, disco, deep house and even some hip-hop and R&B-inspired tracks. And one thing that I noticed on this album, which can sometimes be atypical of electronic music, is that most of the songs have a strong vocal presence. This element is neither here nor there to me, but I have come across many non-house heads who say that the lack of vocals is something they do not enjoy about house music. The vocalists on this album are amazing. Jessie Ware, AlunaGeorge, Jamie Woon, Ed MacFarlane, to name a few. “When A Fire Starts to Burn” is one of the most creative songs I’ve come across in a long time. It’s not often that a motivational speaker is featured on a house tune! Without question, my favourite track is “Latch”. I kid you not, I have listened to this song about 150 times in the past 4 weeks – no exaggeration! I don’t even know how I would classify this song. All I know is that the music and the plaintive vocals resonate with me. Sam Smith, who is featured on this track, has a voice that is so enthralling. I cannot get sick of this song. Disclosure‘s debut album truly is one of the best albums I have come across in the past few years, definitely this year. As much as I anticipated Daft Punk’s Random Access Memories, Settle surpasses it by a landslide. So if you like to dance and want to impress your friends, buy Settle today! You’ll be glad you did.